How does design and innovation shape people’s lives in the Pacific? 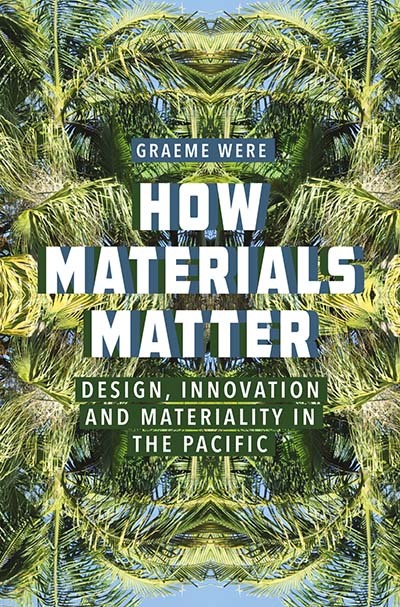 Focusing on plant materials from the region, How Materials Matter reveals ways in which a variety of people – from craftswomen and scientists to architects and politicians – work with materials to transform worlds. Recognizing the fragile and ephemeral nature of plant fibres, this work delves into how the biophysical properties of certain leaves and their aesthetic appearance are utilized to communicate information and manage different forms of relations. It breaks new ground by situating plant materials at the centre of innovation in a region. Graeme Were is chair and professor of Anthropology in the Department of Anthropology and Archaeology at the University of Bristol. He has a regional specialism in Papua New Guinea, where he has conducted ongoing ethnographic fieldwork since 2000. His published work includes Lines that Connect (2010) and Extreme Collecting (Berghahn, 2012) co-edited with J.C.H. King. Chapter 3. What’s in a Plant Leaf?